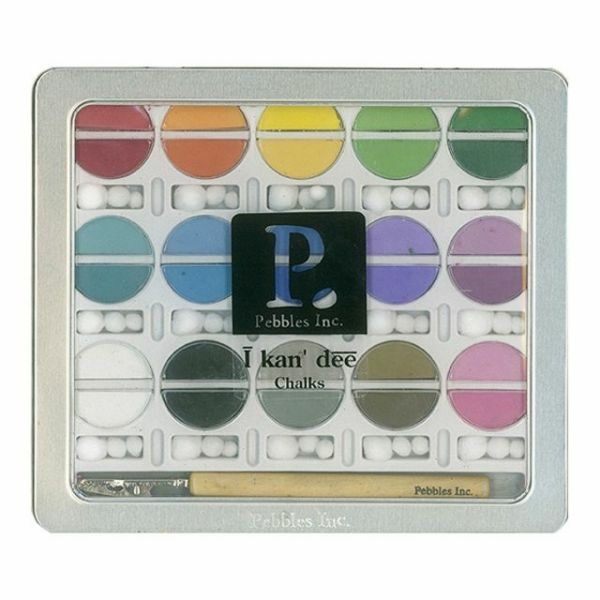 I Kan'dee Chalk Set - PEBBLES-Each set includes: 15 colors, 2 shades per color for a total of 30 fabulous choices. Chalk is soft and easy to blend with colors match any project you may have. 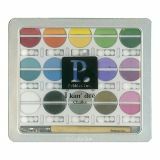 Includes 3 sizes of pom-poms per color and an applicator tool. Packaged in convenient and secure metal tin. Chalk size: 1.25x1/2 is half-size.